Two more months from now, it’s gonna set everyone on high fever of Kollywood here. Guess what? The festive occasion of Diwali will have the most anticipated flicks hitting screens together. 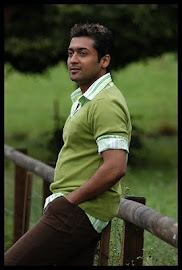 Surya starrer 7am Arivu is all set to release on Diwali. The film’s audio launch will be launched shortly by next month. The film’s first look posters have already evoked more interests on the film. Vijay’s ‘Velayudham’ has been under making for a very long time. As mentioned by both Vijay and director Raja, the film will hit screens on Oct 26, 2011 for the occasion of Diwali. The celebration doesn’t end with Kollywood as there will be a big release in Bollywood, which will be Shah Rukh Khan’s sci-fi thriller ‘Ra.One’. Apart from these releases, Dhanush’s ‘Mayakkam Enna’ and Silambarasan’s ‘Osthi’ is also scheduled for the release on same day.